Saint Etienne is one of those bands who always give me a lift. How can you possibly be glum when listening to a Saint Etienne record? They epitomise what proper, honest, creative pop music should be about. All their songs could (should) easily be played on mainstream radio, but at the same time there’s something quirky and original enough about them to ensure they never get tarred with the same brush as your average fly-by-night pop stars who wouldn’t know one note on a synth from another. Saint Etienne’s second album ‘So Tough’ remains one of my faves of all-time, but I don’t think they’ve really made a duff record. Sure, some are better than others, but in general pretty much everything has been above average, if not better. So I present a career-spanning collection of 10 songs which I think represents why Saint Etienne are so special. I attempted one of my podcast-type things for this, even creating some segues to drop between the tracks just like Saint Etienne did on their early records. Trouble is, I’m really not skilful enough to pull off anything so clever. I have therefore decided to present each track separately in conventional 10-track LP fashion. The ‘podcast’ mix however, has also been dropped in just in case anyone is curious. ‘Sound Of Water’ is possibly the band’s most difficult album to get into. Not because it’s not very good – on the contrary, it’s one of their most intriguing records – but because it doesn’t contain the obvious pop tunes of its predecessors. It’s more laid back and experimental in its approach. By way of introduction, How We Used To Live was released, in full, as its lead single. It’s a nine-minute suite that shows off some of the moods and directions the album took. A song about finding kindred spirits through music. I do find a good in depth discussion about music is incredibly therapeutic, providing the people I’m in discussion with know what they’re talking about. That’s not to say I have to agree with them. Some of the most satisfying debates I’ve had with people have been when we are in fundamental disagreement. But, in the words of the late great Brian Clough: “I’ll listen to what they have to say, we’ll talk about it and then decide that I was right!” ‘Words And Music’ was an astonishingly good album, their best in more than a decade, I would venture. Stops me in my tracks this one. This version beats the album version hands down thanks to that lovely, mournful French horn solo. As close to perfection as it’s possible for a pop song to get. One of the band’s strangest singles maybe, but that doesn’t make it any less glorious. There’s all sorts of things going on in its seven minutes, not all of them obvious to a commercial pop single. But that’s Saint Etienne all over, isn’t it. In the interest of running time, I’ve included the 7″ radio edit here which, while slightly unfulfilling, still contains the essential elements. ‘Tales From Turnpike House’ was Saint Etienne’s concept album. Most of their songs stem from observations of real life, but this was all about people living in a block of flats, loosely based on where the band members themselves once lived. I adore this track. Kind of makes me want Sarah Cracknell to read my favourite books to me. If Sarah fronted the Pet Shop Boys, it might have sounded like this. An utterly brilliant single, pop music at its best. It remains Saint Etienne’s highest-charting single, reaching number 11. Guaranteed none of the top ten that week were even in the same class as this. Earmarked as a single from the band’s third album, Former Lover is a great example of the more acoustic sound Saint Etienne incorporated into their sound. The electronics weren’t ditched entirely, but there were more folk instruments and orchestral arrangements than they had used before. This version of Former Lover remained unreleased until the 2006 fan-club release ‘Nice Price’. Another great pop single that dropped in between the first two albums. It’s all about finding your ‘tribe’ through music, particularly at a time when rave and grunge were dominant. It does, however, reference pop music through the ages and how it brings people together. It’s a subject they would revisit on more than one occasion. 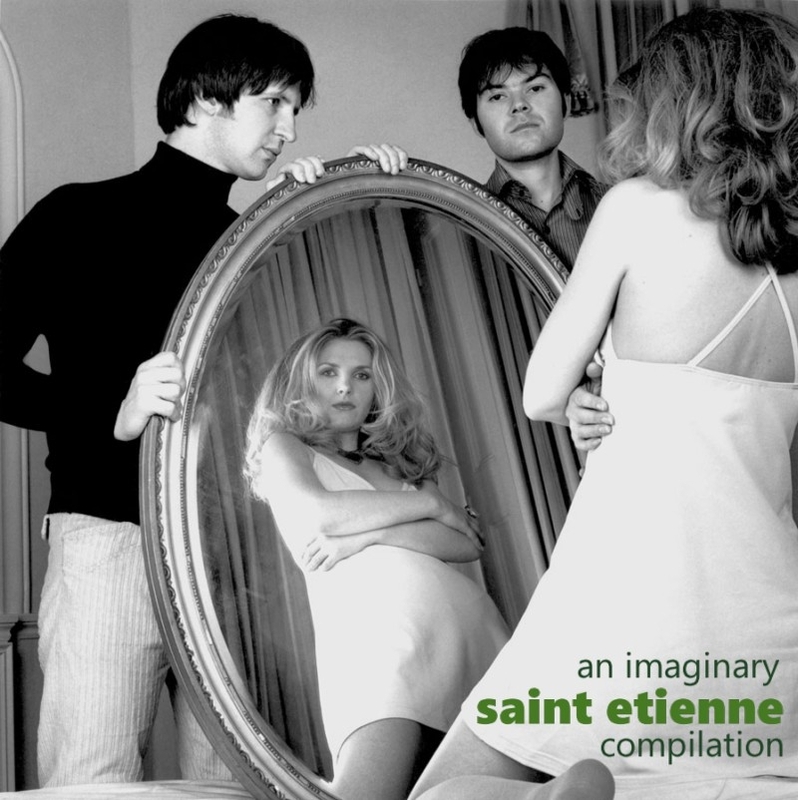 mp3 : Saint Etienne – Who Do You Think You Are? wow, great compilation of a great band! there are so many songs, way too many for a 10-song compilation and I can’t really argue about the selection. I do miss Pale Movie though, but can’t give a strong candidate to remove – but I think I would take out the closing track and save it for the remix compilation instead, Pale Movie has to be in. Excellent choices. I think I would have included speedwell and I happen to have a soft spot for the track ‘conchita martinez’ although I forget what album its on. Cheers Robster, you’re right. Um, also, Like A Motorway? I started doing a Saint Etienne compilation before, quite frankly, wimping out. So I’m just impressed that anyone managed the task! Side-effect of listening to Saint Etienne: whenever questions about women’s tennis come up on “Pointless”, I can usually get a pointless answer with “Conchita Martinez”. Wow! Really tough to pick a short list out of so many great ones — can’t argue with any of these 10. Well done, Robster! Another tough one, Robster, but you were up to the task. I’m partial to Nothing Can Stop Us, Hug My Soul and Like a Motorway, but I can’t argue with any of your worthy selections. How’d you like that Def Leppard, Alex? Ha! The Def Leppard track turns out to be an instantly forgettable ballad that Ronan Keating either will inevitably cover at some point, or already has. Excellent choices Robster!! And I have to agree on Words And Music–once I hit play on that album it repeats over and over. Superb selection and a great reminder of how much I (we) love Saint Etienne. Some tough choices e.g. Tiger Bay selections and Only Love version. Many thanks Robster! I make a cd length long mix (And Your Bird Can Sing) and I closed mine out with “The Way I Fell For You” from the “Misadventures of Margaret” soundtrack – its a fantastic closing track and lends a cinematic feeling to it all.